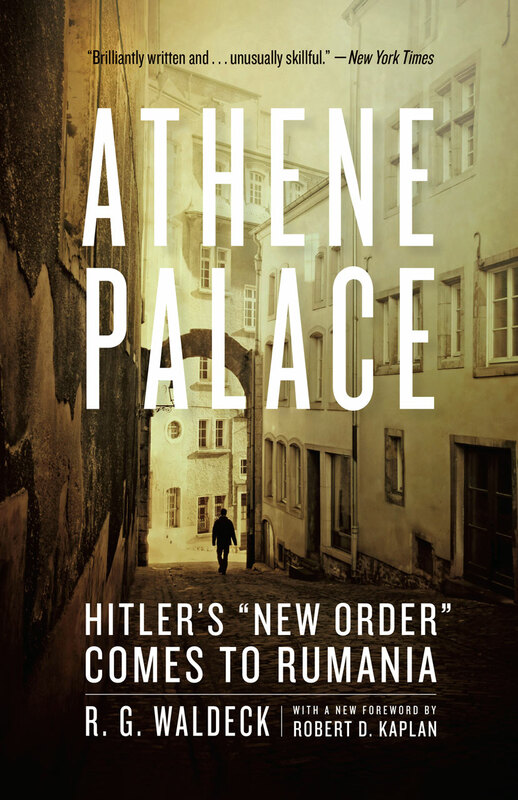 On the day that Paris fell to the Nazis, R. G. Waldeck was checking into the swankiest hotel in Bucharest, the Athene Palace. A cosmopolitan center during the war, the hotel was populated by Italian and German oilmen hoping to secure new business opportunities in Romania, international spies cloaked in fake identities, and Nazi officers whom Waldeck discovered to be intelligent but utterly bloodless. A German Jew and a reporter for Newsweek, Waldeck became a close observer of the Nazi invasion. As King Carol first tried to placate the Nazis, then abdicated the throne in favor of his son, Waldeck was dressing for dinners with diplomats and cozying up to Nazi officers to get insight and information. From her unique vantage, she watched as Romania, a country with a pro-totalitarian elite and a deep strain of anti-Semitism, suffered civil unrest, a German invasion, and an earthquake, before turning against the Nazis. A striking combination of social intimacy and disinterest political analysis, Athene Palace evokes the elegance and excitement of the dynamic international community in Bucharest before the world had comes to grips with the horrors of war and genocide. Waldeck’s account strikingly presents the finely wrought surface of dinner parties, polite discourse, and charisma, while recognizing the undercurrents of violence and greed that ran through the denizens of Athene Palace. "Well put together, always readable and often witty. . . . Countess Waldeck never protests too much; sometimes, one feels she might protest a little more. But all is forgiven in the end when her remarks are as shrewd as her conclusions are agreeable."